Neely is one of three labels produced by the Varner brothers that also includes Varner Estate and Foxglove wines. Bob and Jim Varner have produced superb Pinot Noir and Chardonnay from the Santa Cruz Mountains for years, but have largely been off the radar except to the most dedicated pinotphiles. 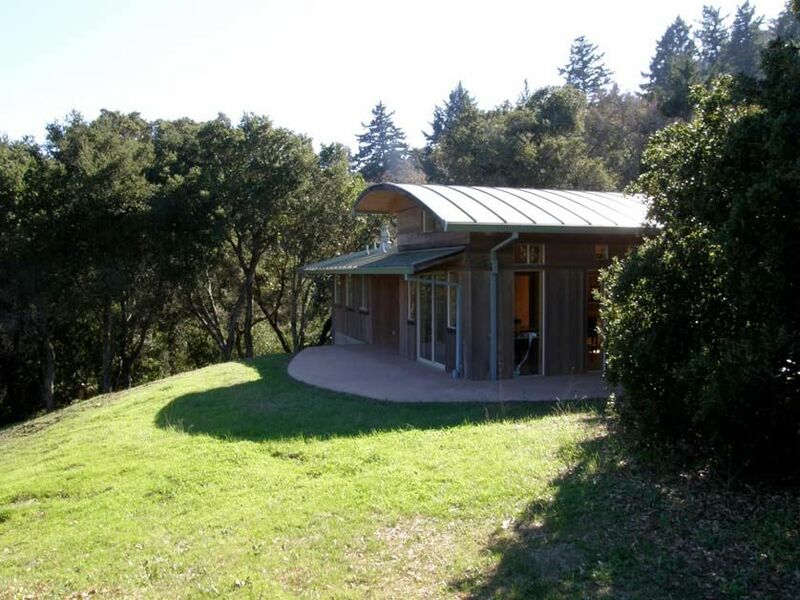 Because the estate Spring Ridge Vineyard and winery are located in the Russian Ridge Open Space Preserve in the scenic grassland hills of Portola Valley, the winery cannot have a tasting room, accept visitors, or conduct events, and thus remains largely hidden from the public eye. 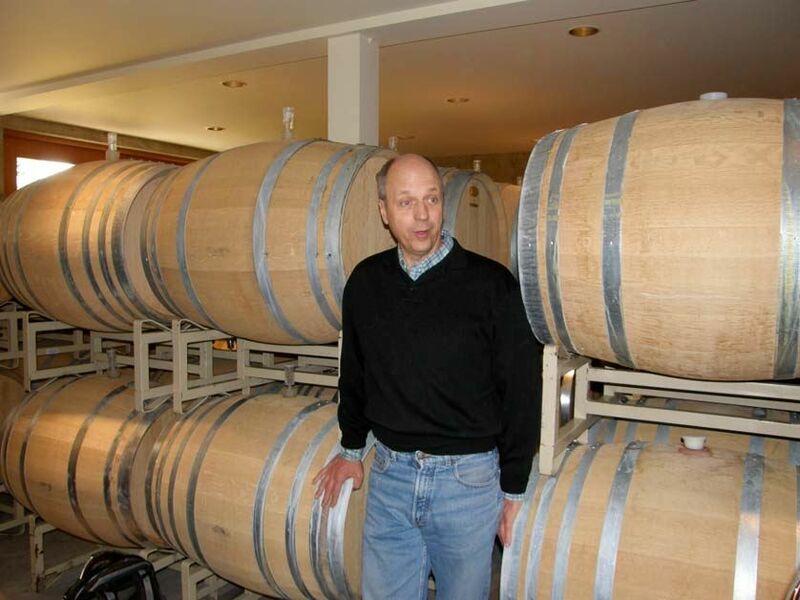 Jim Varner is a graduate of the University of California at Davis and began his winemaking career in the Napa Valley. He longed for a cooler climatic region and found the current site in the Skyline sub-region of the Santa Cruz Mountains (12 miles east of the Pacific Ocean, 10 miles west of the San Francisco Bay and just west of Palo Alto). 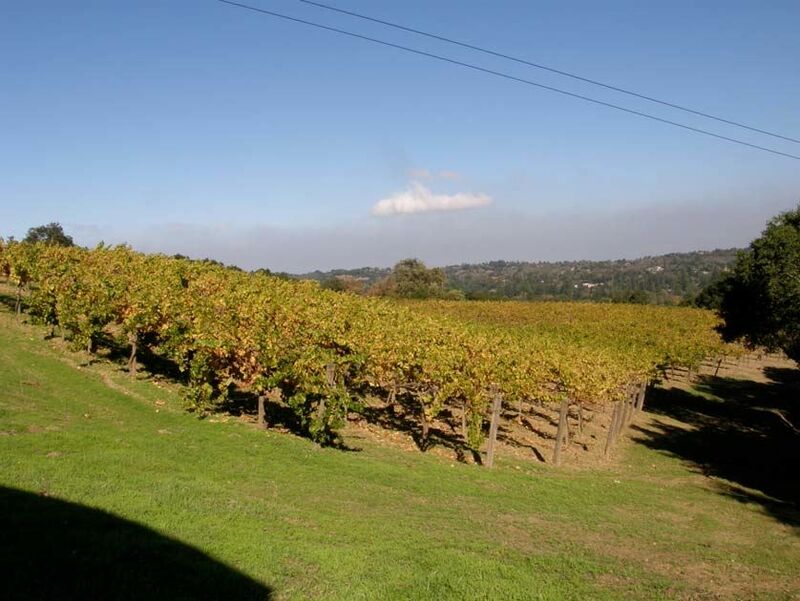 The property is situated within a large parcel owned by Dr. Kirk Neely and his wife Holly, and the Varners produce the Pinot Noirs under the doctor’s Neely label in much the same fashion as their own Varner Estate Pinot Noirs. Jim is pictured below at his winery when I visited in 2009. Jim’s brother, Bob, was studying genetics at the University of California at Berkeley when Jim invited him to see the property. He was immediately taken by the site and the pair began planting the Spring Ridge Vineyard in 1980. They started with Chardonnay and Gewürztraminer. In 1997, 7 acres of Pinot Noir were planted (clones 115 and 777), and in 2006, the Gewürztraminer was grafted over to Pinot Noir clone 777, effectively resulting in 25-year-old Pinot Noir vines. Bob eventually became the winemaker and Jim took over the sales and marketing of Varner wines. The Spring Ridge Vineyard is farmed organically with only sulfur employed to control mildew. Other disease pressure in controlled by canopy management. Several distinct blocks have been identified within the vineyard. For Chardonnay, there is the Home Block, the Amphitheater Block and the Bee Block. For Pinot Noir, there is the Hidden Block and Picnic Block. The block-designated Varner Hidden Block Pinot Noir (clone 115) is the signature bottling from the estate. The Spring Ridge Vineyard and Varner Winery are seen below in their very picturesque setting. Both Neely and Varner Pinot Noirs are vinified with very little whole cluster, with indigenous fermentations, and are aged in 24% to 30% new French oak barrels from several cooperages. The wines are bottled unfined and unfiltered. 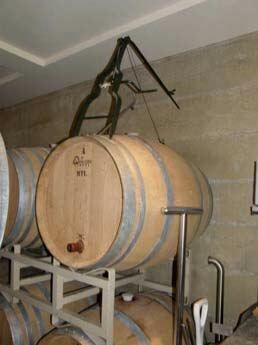 One interesting note is that all the oak barrels have taps near the bottom to drain the wine instead of pumping it out through the bung on top. A special metal contraption made in France facilitates this. The three 2009 Neely block-designated Pinot Noirs are distinctly different but have a commonality of fresh middleweight flavors and good acidity. They vary in their fruit profile and intensity showing different expressions of the same vineyard. All wines can be enjoyed now but have the balance to age nicely. I could drink any one of these wines all night long. Neely and Varner wines are sold primarily through a mailing list with limited retail distribution. Visit the website at www.varnerwine.com to purchase wines (they are often sold out quickly to mailing list members). Neely wines have no website. The 2008 and 2009 vintage Neely wines are currently offered at www.klwines.com. The Varner Chardonnays are in the top echelon among California Chardonnays and are more readily available in the retail marketplace than the Varner Pinot Noirs. 650-321-4894. 13.6% alc., $38. · Medium reddish-purple color in the glass. The nose is dark fruited and floral featuring fragrant scents of black cherries, dark berries and blueberries with a hint of violets and spice. Crisp and juicy with good depth of raspberry and cherry flavor that is nicely embellished with a touch of spice and toasty oak. The tannins are delicate and the texture is very silky. An elegant wine that finishes dry with a flourish of raspberry fruit. Very good. 14.0% alc., $38. · Moderately light reddish-purple robe. The nose knocked me out. Deeply perfumed with fresh Bing cherries and hints of mocha and baking spices, in particular cinnamon. I kept coming back to the glass, the nose became better and better, and was indefatigable. Richly flavored cherry core, similar to the “iced cherry” often noted in Green Valley Pinots. More fruit-driven than the other two Pinots in this vintage but not in a bad way: cherry, cherry and more cherry. Refined, almost delicate, juicy and seamless, with complimentary oak driven accents of caramel and cola in the background. Tasted the following day from a previously opened and re-corked bottle, the wine was offering a striking display of strawberry and cherry fruit in an elegant format. This is a wine that is chock full of Pinot character. 14.6% alc., $38. · Moderately light reddish-purple color in the glass. The nose veers to the very ripe and dark fruited side over time in the glass. Aromas of dark red pie berries and very ripe strawberries are noted. On the palate, the wine has power and richness, yet remains vivid and crisp like a splash of water from a mountain stream. Flavors of raspberries and plums are most evident with a hint of tutti-fruiti noted. The finish is quite fruity and persistent. Very good.